When Marco Bernardini was approaching about coaching at the 2019 USL Experience, he didn’t even hesitate for a second. 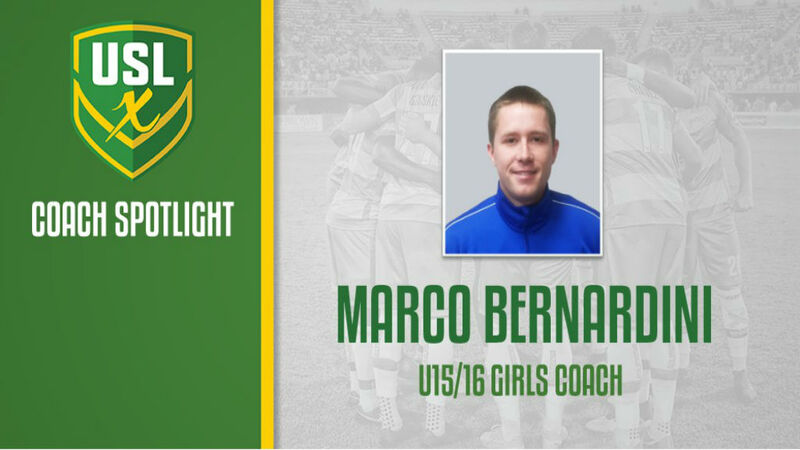 The former collegiate and semi-professional player has been involved on the youth coaching side for over eight years already with Michigan Rush, and for that reason he knows the value of an event like USLX. On top of Bernardini’s efforts at the youth level, he has also served on the staff of Albion College’s women’s soccer team, giving him a further glance at how young players can reach the next level. Bernardini says he’s extremely excited to get to USLX and help guide his group of players over the course of the three days of training and matches. A huge part of his goal for the event is to help his team develop and implement their identity into their style of play. “For me, this event is all about the players,” Bernardini said. “I want each individual to feel as comfortable and confident as possible so that they can really showcase their ability during the matches. “To do this, we will have to very quickly get the players acclimated to the environment by having them get to know their teammates as well as defining how we want our team to play in the different phases of the game.